April is an exciting month for the royal family. Not only could we see the arrival of the Duke and Duchess of Sussex’s first child, but Prince Louis celebrates his first birthday on 23 April. 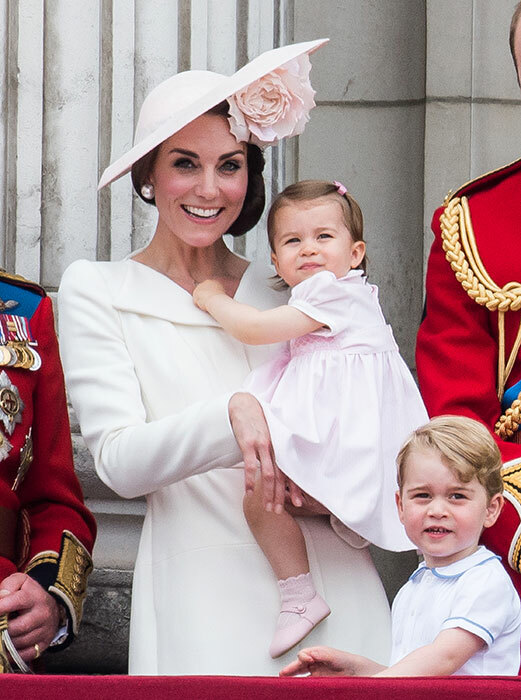 As the third child of the Duke and Duchess of Cambridge, Louis is fifth-in-line to the throne, following his siblings Prince George, five, and Charlotte, three. 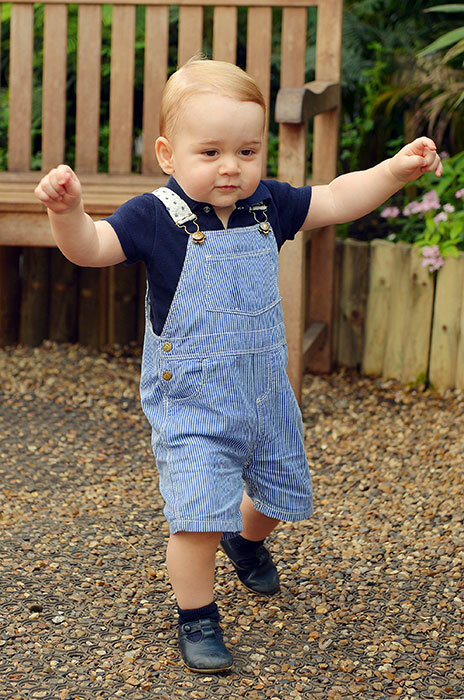 It feels like only yesterday that Prince George was learning how to walk! 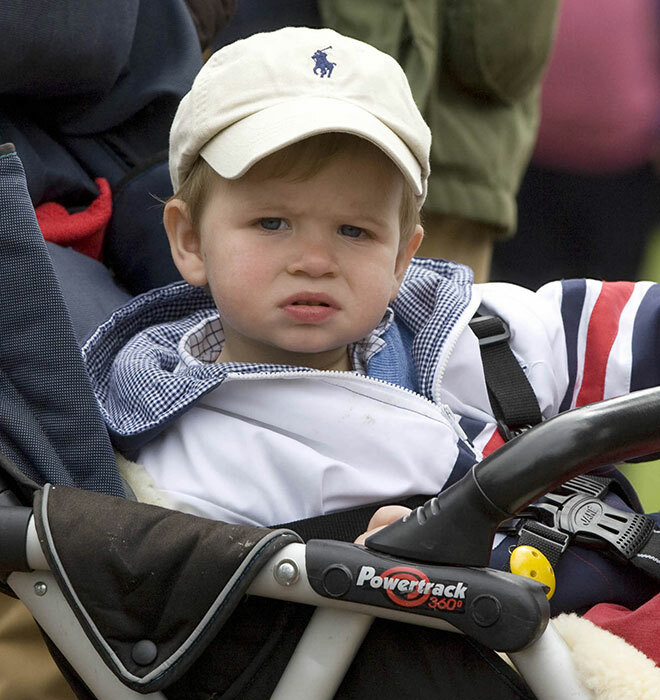 Mia Tindall, Zara Tindall’s eldest daughter with retired rugby player Mike Tindall, has inherited her parents’ love of outdoor activities, wrapping up warm in a purple fleece onesie while attending an equestrian event in 2015. Wearing a smart military-style peacoat, a young Peter Phillips looks every inch the royal aged one and a half. Born in 1960, Prince Andrew was the first royal born to a monarch since 1837, after his mother the Queen took to the throne in 1953. 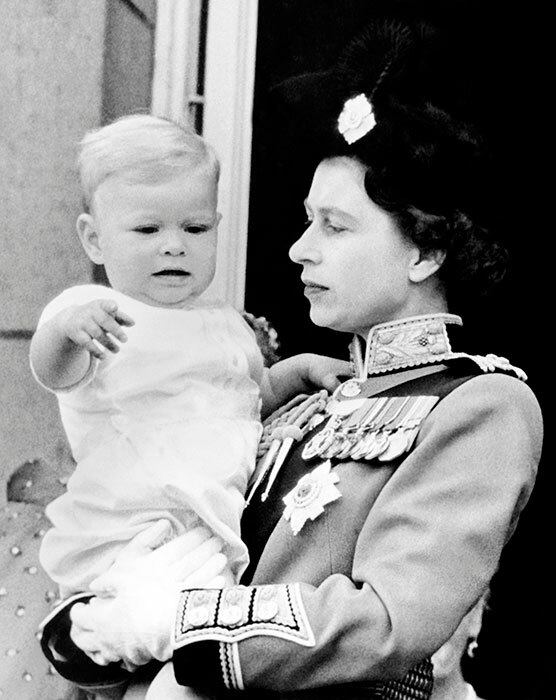 Attending the annual Trooping the Colour ceremony in 1961, Andrew made his public debut at 16 months old. Keep clicking to see more photos. The youngest daughter of Peter and Autumn Phillips, Isla celebrated her seventh birthday on 29 May. 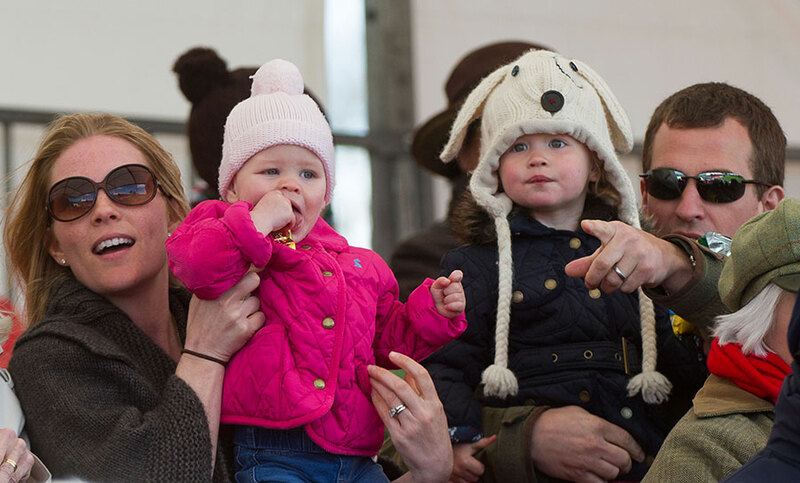 When she was just one, the royal was often spotted out at events with her parents, looking cute here (left) in a woollen hat alongside sister Savannah. As a young boy, Harry was every bit the playful prince he is now. 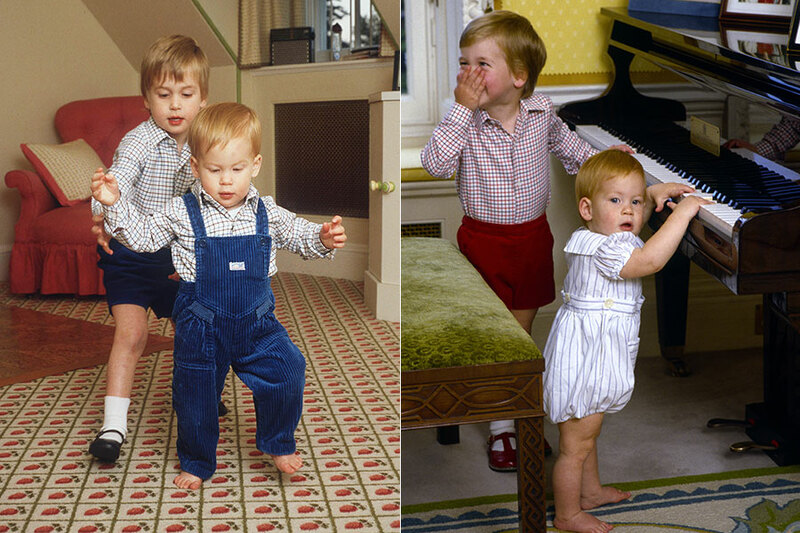 The red-haired tot was often seen playing with his older brother William, tinkling the ivories whenever he got the chance. 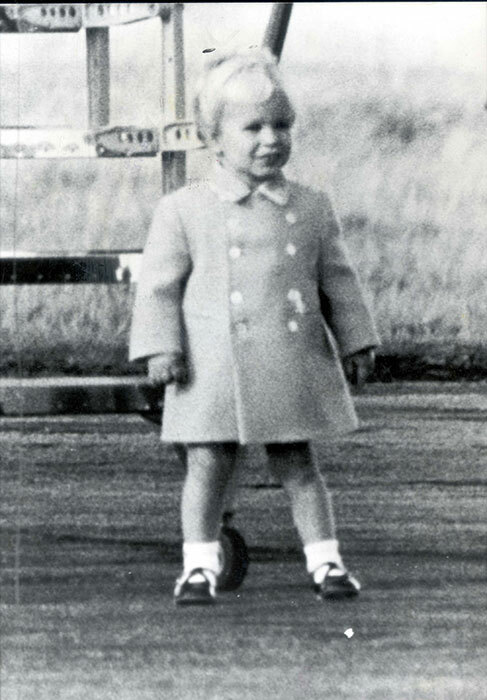 He may have celebrated his 70th birthday in November, but Prince Charles was once a grumpy toddler like the rest of us! 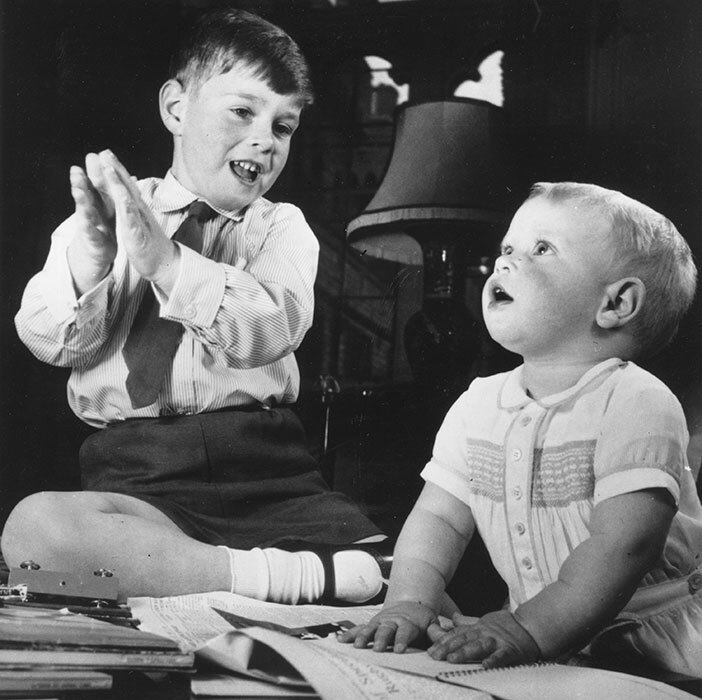 As a one year old, Prince Edward loved playing with his older brother Prince Andrew. 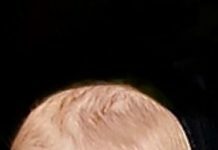 With only four years between them, the pair were closer than they were with their older siblings, with Princess Anne being born 14 years before Edward. 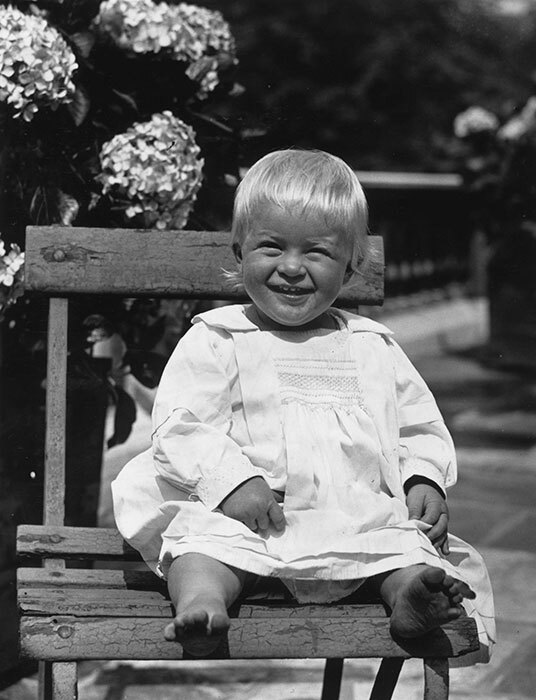 It may be hard to recognise this one year old as Prince Phillip, but back on a family holiday in Corfu in 1922, the Prince Consort sunned his white blonde hair in the warm weather. 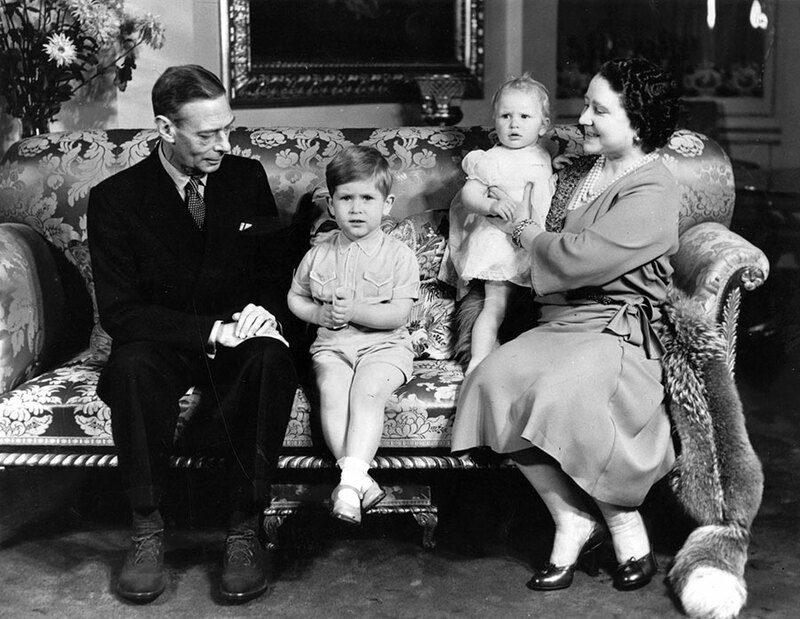 The only daughter of the Queen, Princess Anne is seen here as an adorable baby spending some time with her grandparents, King George and the Queen Mother, as well as her three-year-old brother Charles. 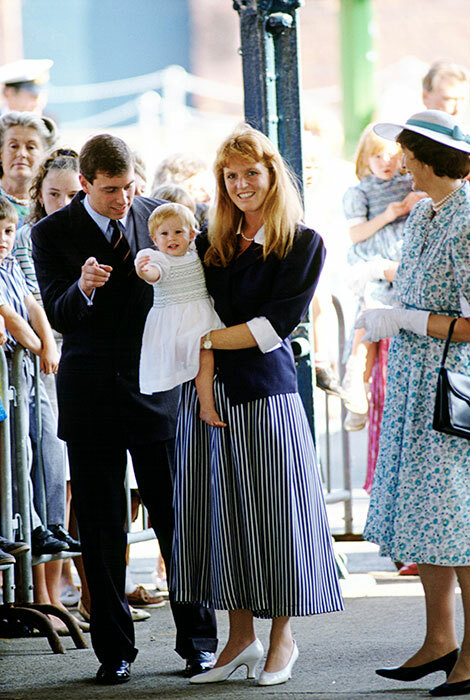 A style icon from day one, Princess Eugenie matched her mother Sarah Ferguson with her red hair and stripy outfit on a public outing at Ascot in 1986. Another fan of matching mother and daughter clothing, Princess Charlotte complimented her mother in stunning blush pink while attending Pippa Middleton’s wedding to James Matthews in 2017. 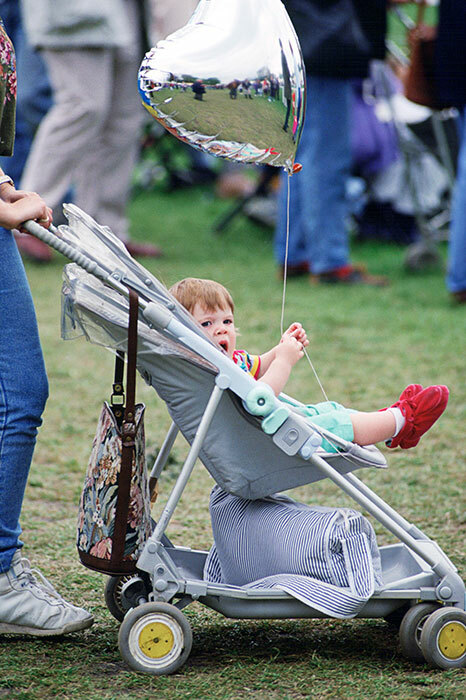 Princess Eugenie made for one very sweet baby, rocking a pair of red booties and holding a silver balloon at a family outing. 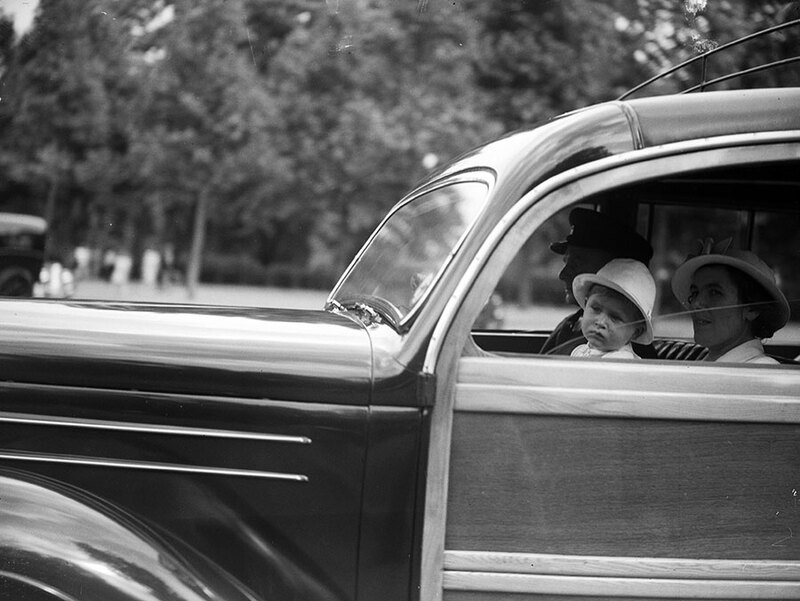 As an adorable baby, the young Prince William was close to both of his parents. 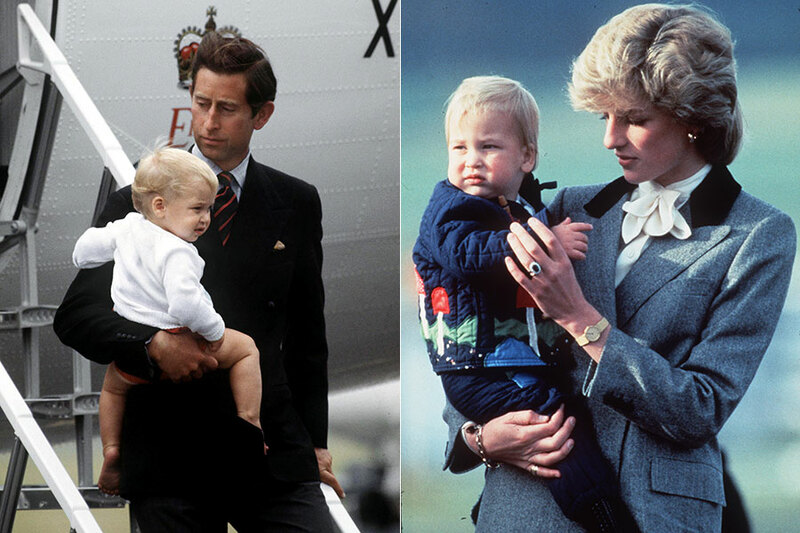 With his blonde hair, however, the Prince was the spitting image of his mother, the late Princess Diana. 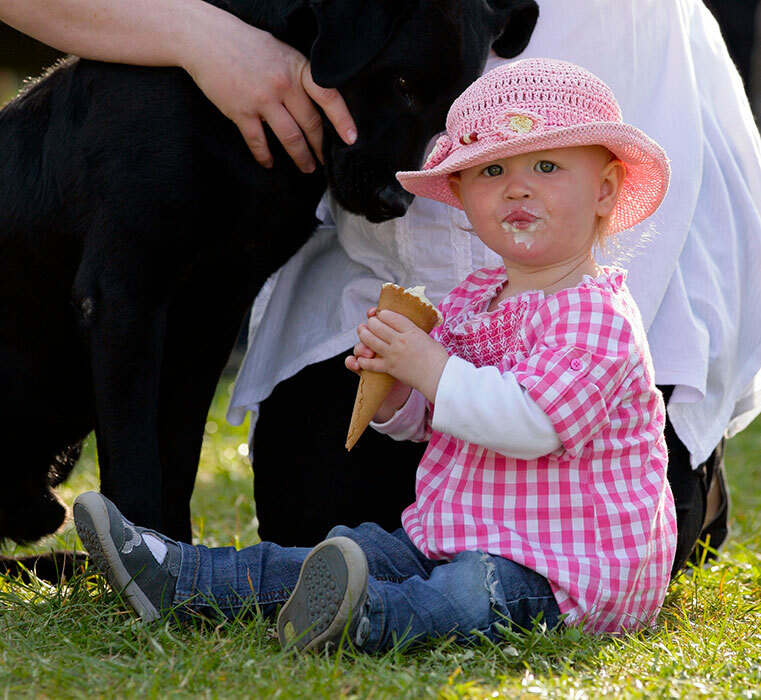 Sporting a summery look with a pink hat and gingham shirt, Savannah Phillips looked as cute as a button while enjoying an ice cream with doting aunt Zara Phillips. 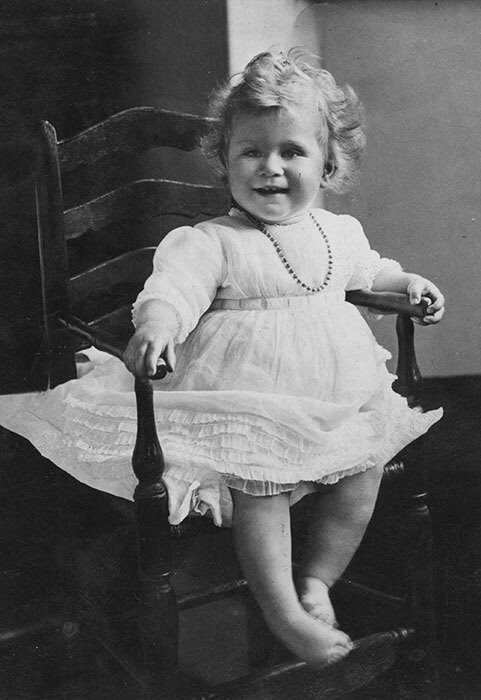 In 1927, a baby Princess Elizabeth smiled for the cameras, unaware that she would become the country’s longest reigning monarch. The youngest child of Prince Edward, James may be on the verge of his teenage years, but the royal was once a sporty tot enjoying a day out with his family. 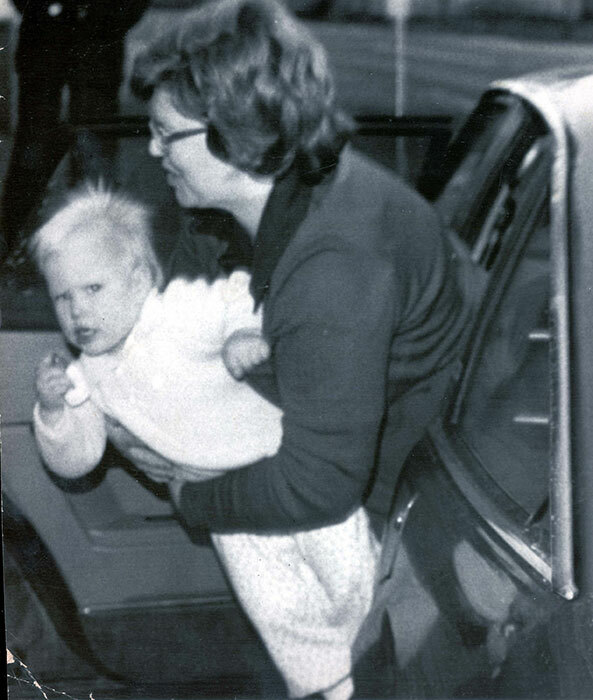 A young Zara was clearly not impressed to spot the cameras in this picture, but we can recognise the royal anywhere from her shock of blonde hair!